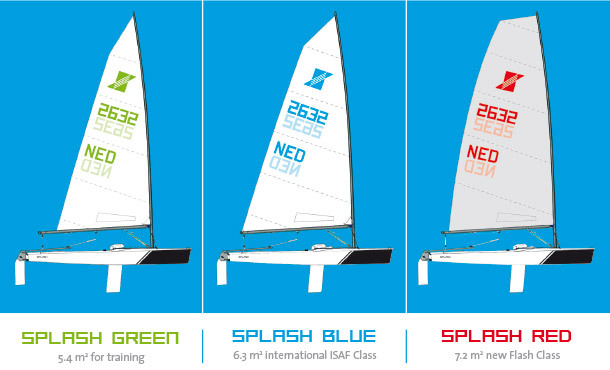 The Splash BLUE is the original International Splash class. The Splash's big sister (the former Flash) is the Splash RED. The hull, mast and boom are identical to those of the Splash BLUE, but the mainsail is bigger and made of laminate material. The Splash RED has a 7.2 m2 main and red sail numbers and logo. The difference between the Splash BLUE and RED is that the latter is for all ages. That creates a mix of ages.